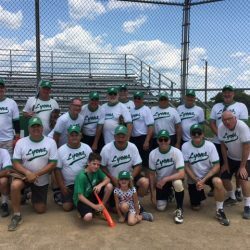 The Lyons Men’s Senior Softball team and the Berks Senior Softball League will come together with the WFMZ – TV Channel 69 softball team to play a doubleheader for the benefit of PA Wounded Warriors, Inc. (PAWW) on Saturday, July 21st, 1:00 p.m. at the Lyons Berks County Fire House Softball Field, Lyons, PA. Free admission, donations appreciated. All net proceeds from food sales and donations will go to the PAWW. The event is open to the public. The senior team and league will also be hosting a cookout fundraiser for the Pennsylvania Wounded Warriors, Inc. (PAWW) on Friday, July 13th and Saturday, July 14th, and again on August 7th and August 8th, from 10 a.m. to 6 p.m., in the parking lot of Sam’s Club, 5th Street Highway, Temple. Grilled hamburgers and hot dogs, along with other refreshments will be for sale. All net proceeds will be donated to the PAWW. Everyone is invited. PA Wounded Warriors, Inc. is a volunteer, independent statewide 501(c)(3) nonprofit organization, dedicated to providing support to Pennsylvania’s wounded warriors, veterans in crisis, and their families. Ninety-five percent of all donations received are allocated to assist Pennsylvanian heroes and their families.